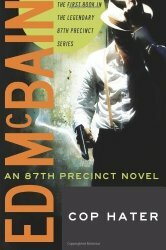 Amazon’s selection of Kindle Daily Deals includes titles in the Ed McBain 87th Precinct Mysteries series for $1.99 each. In Today’s Deals, Amazon has the Fire HD 6 (my favorite Fire tablet) for $69.99. The Fire HD 10 Tablet is also on sale for $50 off. The Barnes and Noble Nook Daily Find is The Space Between Sisters (Butternut Lake Series #4) by Mary McNear. The Romance Daily Find is Wicked Lies: A Men of Summer Novel by Lora Leigh. Kobo’s Daily Deal is The Monogram Murders – The New Hercule Poirot Mystery by Sophie Hannah, Agatha Christie. The Extra Daily Deal is The Death Cure: Maze Runner Series (Book 3) by James Dashner. iTunes’ Weekly Bestsellers Under $4 includes City of Refuge by Tom Piazza. Google Books has a selection of epic reads under $4 in their Sensational Sci-Fi Sale. This entry was posted in Daily Deals and tagged 87th Precinct, Ed McBain, Hercule Poirot. Bookmark the permalink.